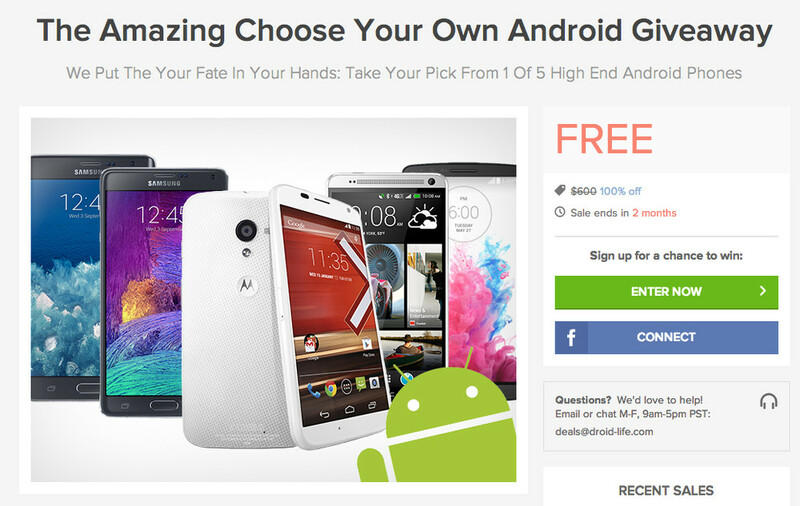 Over at the DL Deals site, you will find a contest running that (in 2 months) will reward one of you with a free Android phone of choice. It’s as simple as ever to enter – create an account there and click the “Enter” button. That gives you a single entry, but you can grab another six entries if you share the contest through social sites. The contest ends on 11/9 with a winner being chosen on 12/8.